Downtown Burlington is located at the southern end of City of Burlington, along Lake Ontario. 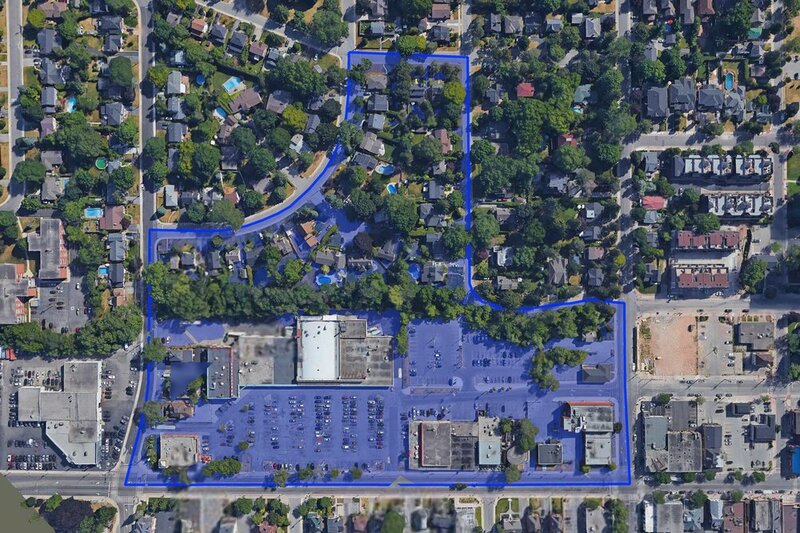 It is a typical mid-sized city downtown in many ways, characterized by a main street with local businesses, and surrounded by residential neighbourhoods. 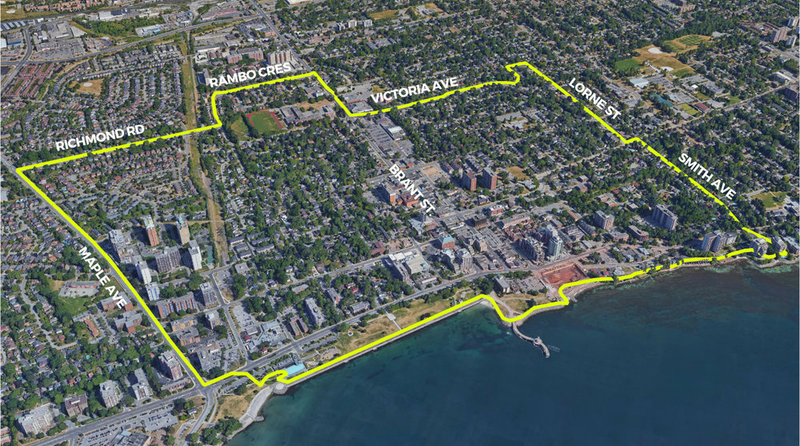 Downtown Burlington is designated as a mixed-use centre in the Official Plan ans is identified as a Urban Growth Centre in the Growth Plan. Residential areas are close to the downtown, making it easy to walk to amenities. 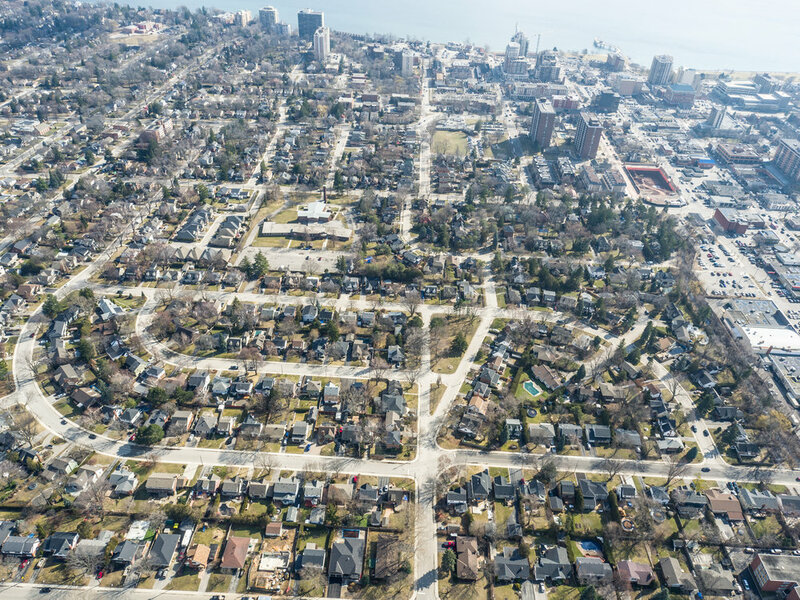 But neighbourhoods were built for the car; garages and driveways are prominent; blocks are long and some streets don't connect to main street. Access to waterfront trail provides recreational opportunities. Burlington Transit Bus Terminal located downtown, with buses arriving every 30 minutes. Mix of single-detached, mid-rise (4-12 stories), semi-detached, raw houses. Parking lots, industrial buildings provide opportunity for development. The Official Plan and site specific policies support re-development. There have been 12 redevelopment sites approved over last 15 years. This is equvilant to 2 hectares for every 100 people. Wide range of shops & amenities along main street.